Mugi Rahayu was formed in 2006 by Aaron Hall and other interested people. 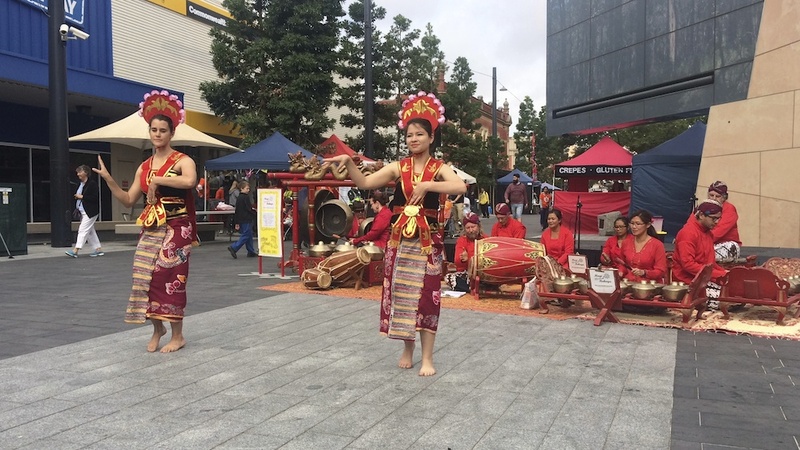 Aaron’s wife Nita is Indonesian and some years ago when Aaron and family were looking at living in Indonesia for some time, Aaron became aware of the “Darmasiswa” scholarship. 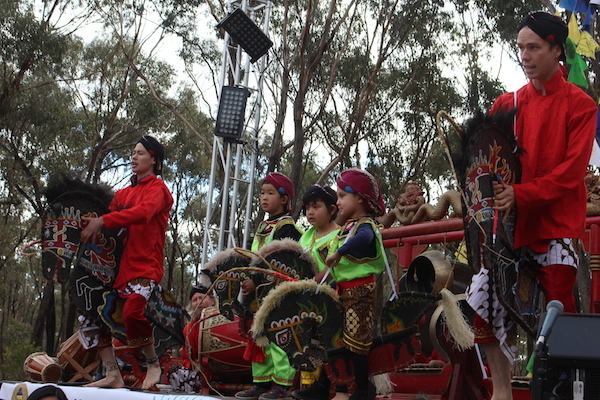 This is an Indonesian government scholarship to study gamelan music. That was enough for Aaron and he ended up studying gamelan music full time for a year and a half at the Yogyakarta Arts Institute. 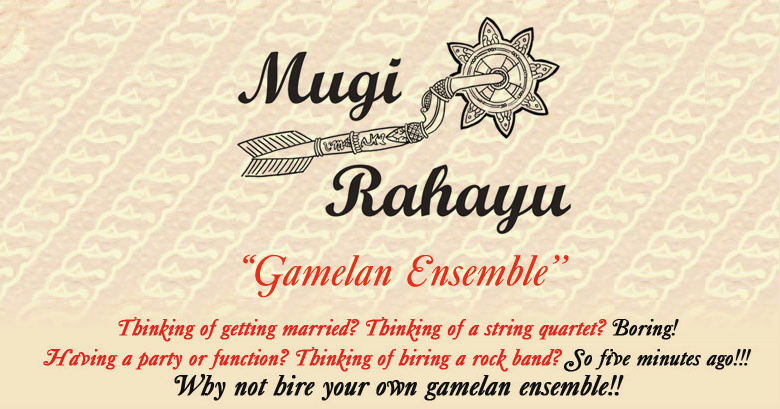 Mugi Rahayu play a fine selection of authentic Indonesian gamelan music of the Central Javanese style. The tranquil peaceful and soothing tunes will give your wedding, function or festival just the special touch it needs. 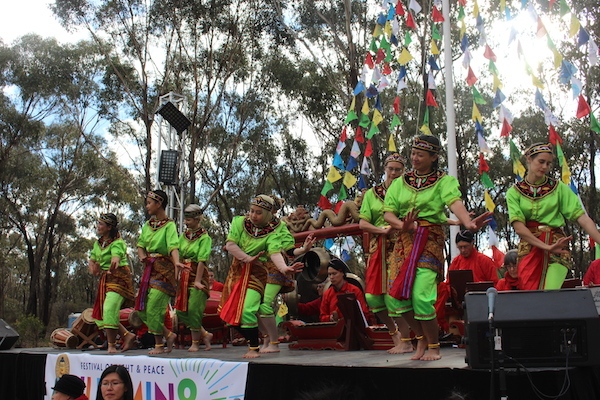 Mugi Rahayu travel within a 100 km radius of Bendigo and present two 50 min. brackets of fine music. Small ensemble, large ensemble, with or without dancers. 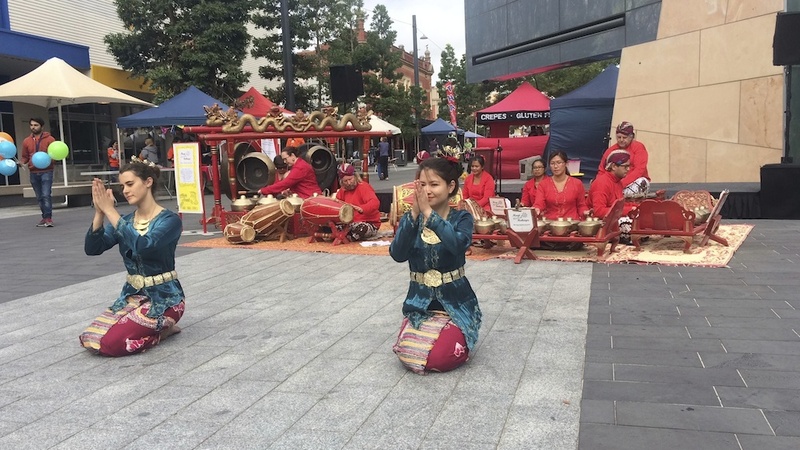 Mugi Rahayu practice on Saturdays at 2:00 at their home East of Strathfieldsaye, and would welcome anyone who would like to join their group. No experience or special talent required. You may view Mugi Rahayu at http://www.youtube.com/user/Mugirahayu.